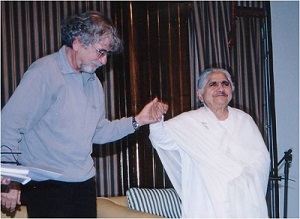 Humberto Maturana and Dadi Janki are friends. They came together as the science and spiritual resource people in a Call-of-the-Time Dialogue in Chile. They got along very well, and their different perspectives on life and truth were complementary. What Humberto Maturana and Dadi Janki share is an interest in the explanations of what is most fundamental in life and a respect for the experience and questions of others. They both believe in the importance of the choices one makes to act in a certain way. And they both work from a basic understanding that the feelings of love that one has for oneself and for others are the ground from which life-affirming action proceeds. They also share a belief that human beings are intrinsically loving. It is our nature. In 2006 “Something Beyond Greatness – Conversations between a Man of Science and a Woman of God” (www.hcibooks) brought them together again. 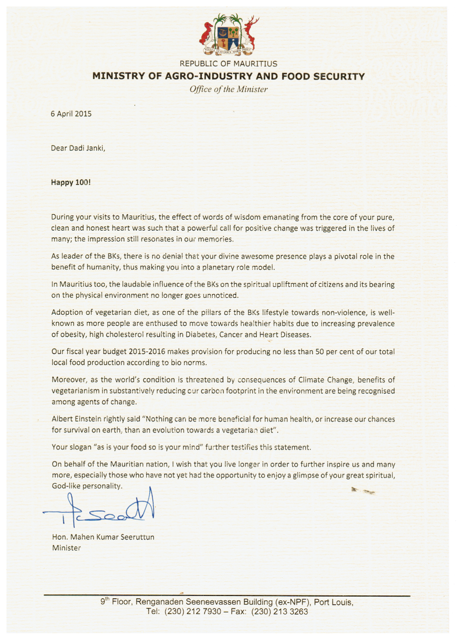 This time in a thought-provoking discussion of the humble, loving service to others that is at the heart of greatness. What does it mean to see with love, act from the heart, and be in the right place at the right time? Is it a matter of our biology? Or our spiritual essence? Or is it in the final analysis only Love? 1. Purity. A pure heart is a clean heart. Truth lives in the heart that is housed with pure feelings.